Thomas E. Benoit immigrated to New Orleans from France inthe 1830s where he was in the business of selling musical instruments that he had imported from France. It is not known if he is the same person of the same name that was in partnership with Piatet in Lyon, France during these same years, but it seems likely that he is a relative. He was known to travel back to France at least once before 1850 and the business in New Orleans was taken over by A. Elie & Chassaignac by 1857. He advertised in the Jeffersonian Republican several times at least during 1846, announcing musical instruments for sale, just off the ship from France. 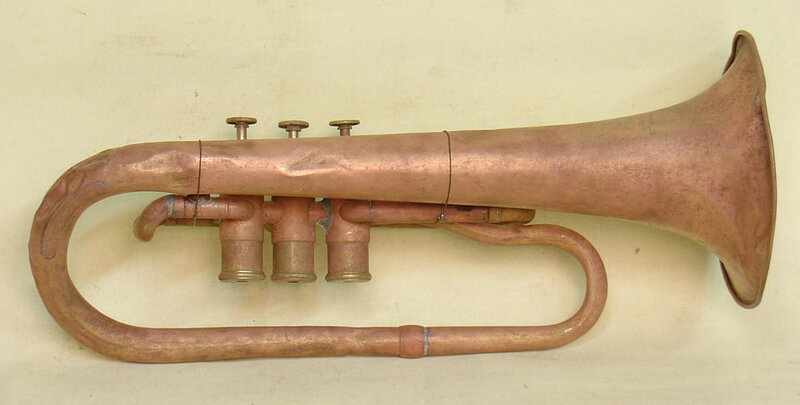 This appears to be the earliest brass instrument to have been sold in New Orleans that is known to exist today. 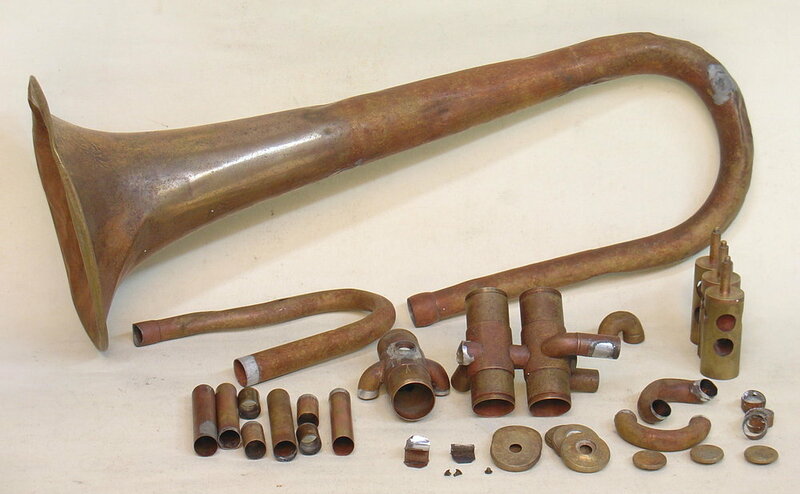 This Saxhorn was almost certainly made by Gautrot in Paris and the name "Benoit" has an even more important place in history than as a music merchant. In a patent infringement case brought against Gautrot by Adolphe Sax in 1846, Gautrot claims that he was importing the counterfeit Saxhorns from Benoit of New Orleans. Among the evidence provided by Sax is a letter dated June, 1843, in which Benoit is requesting to purchase various brass instruments. This instrument looks very much like Sax's earliest Saxhorns including the Berliner piston valves. As can be seen in the photos, this instrument came to me in very rough and deteriorated condition. The interesting history here makes this Saxhorn worth all efforts to preserve and restore. It seems odd that this Saxhorn is pitched in C rather than the more common Bb. It is well known that New Orleans had several brass bands in the 1840s and we would expect that they would prefer instruments in Eb and Bb. We normally expect instruments in C to be for use in the parlor or church to play along with the piano or organ and perhaps that was the intended place for this one. This instrument is 15 7/8" long with bell diameter measuring 6" and bore .429". The stamp on the bell reads: "(T).E. Benoit/New Orleans".